Check out the sidebar for more information! I really tried to use the whole rainbow for this week’s FingerFood’s Theme Buffet but then I couldn’t fit it on my nails…Okay, I did not really try that hard. As you know, I am not the biggest fan of the traditional rainbow spectrum. I hope you like how I incorporated the dots within dots theme for SIMPLES as well. I used 2 coats of Julie G White Orchid as my base. I dotted with Wet n Wild I Red a Good Book, Color Club Wham! Pow!, Urban Outfitters Westside, and Color Club Almost Famous. 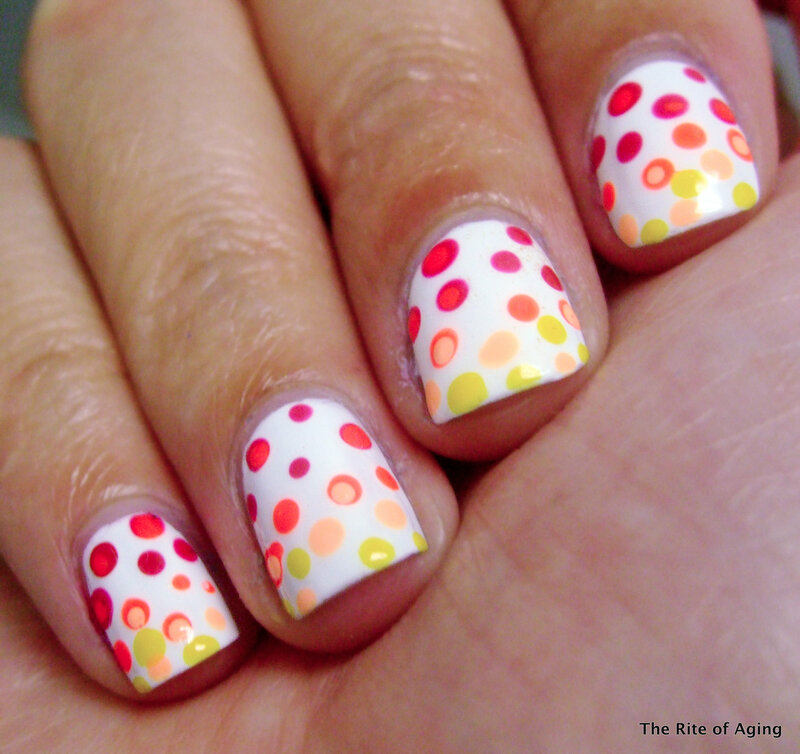 Check out the other rainbow-rrific manicures below!